Home » Travel » Walt Disney World » Epcot » Flower & Garden Festival » Mini-Turkey leg and a Bacon Cupcake highlight American Fare at Epcot’s 2014 International Flower and Garden Festival! 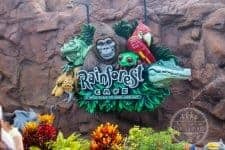 With the return of the popular Food Kiosks, the 2014 Epcot International Flower and Garden Festival is as much about international tastes as it is sights and smells. One of our stops along our tour of World Showcase was the American Adventure pavilion, where we had a Flower & Garden version of a Disney Park classic, and a very intriguing cupcake that featured bacon! 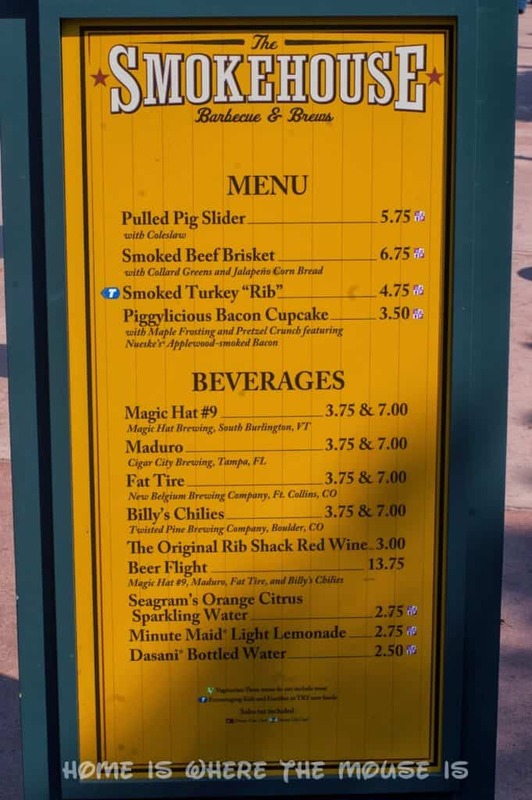 The American Adventure featured the Smokehouse Barbecue & Brews kiosk. As the name implies, the Smokehouse features a large smoker, where all the meats are cooked. because it’s too dry for my liking. 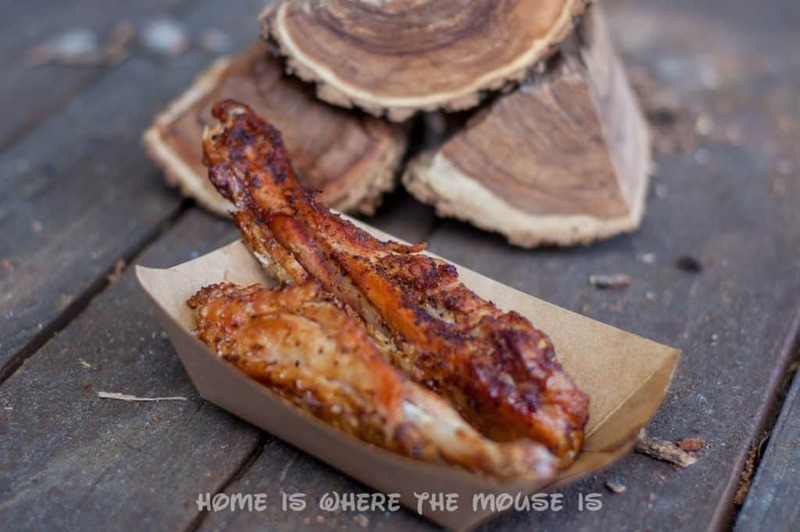 The turkey legs sold in the parks have never appealed to me, either, the main reason being they are just huge! This was a whole different story. I really enjoyed it, and I thought the portion size was perfect. They were tender, juicy, and flavorful. A good beer would go well with these. I guess you could say I had my first Disney Turkey Leg!! If the classic turkey legs all tasted like this, and were this size, then I would definitely have to have more on my next visit. Lisa did actually try a bit of this before I could get to it. She didn’t care for it, but she remarked that I would probably like it. I liked it. I didn’t love it, but I did like it. It was a very interesting combination of flavors. I thought the frosting was too sweet. 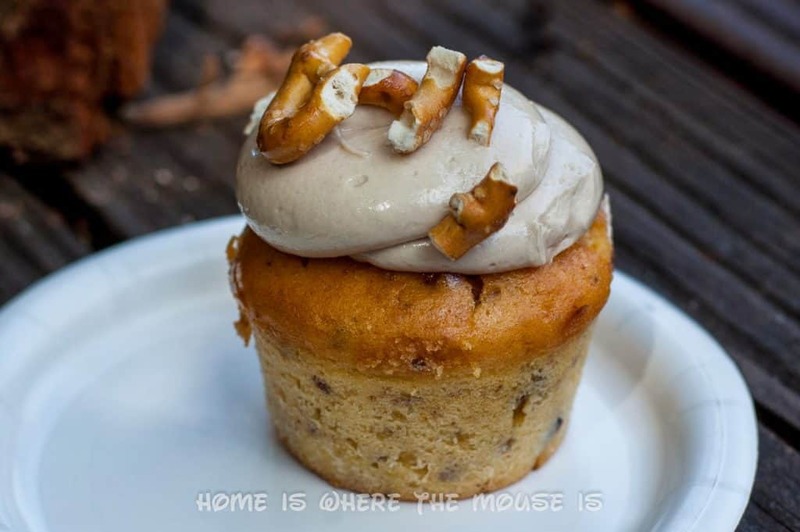 In my mouth, when the sweetness dissipated, I was hit with a quick taste of saltiness from the pretzel, and then the savory cupcake with the lingering bacon flavor. Those ending notes were my favorite part. I had to fight past the icing a bit to get to that part. Don’t get me wrong, the frosting is good, I just didn’t think it went well with everything else. 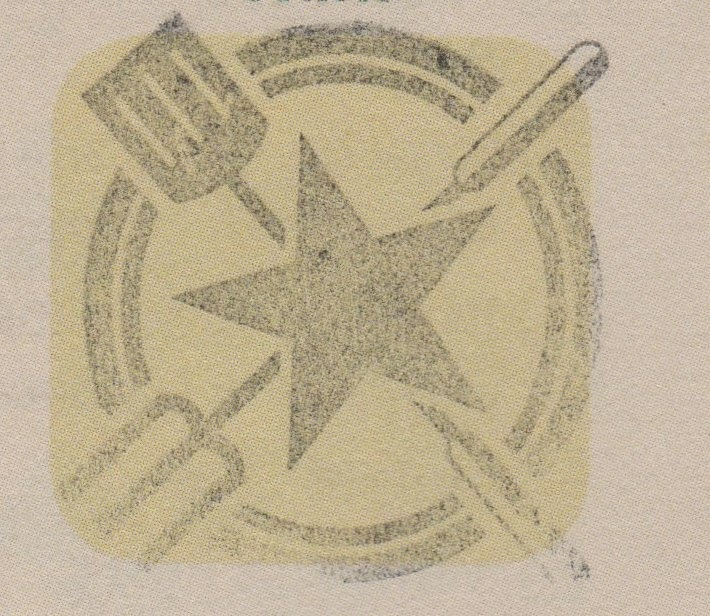 When I get around to recreating this at home, I might experiment with different icings to find one that goes better. 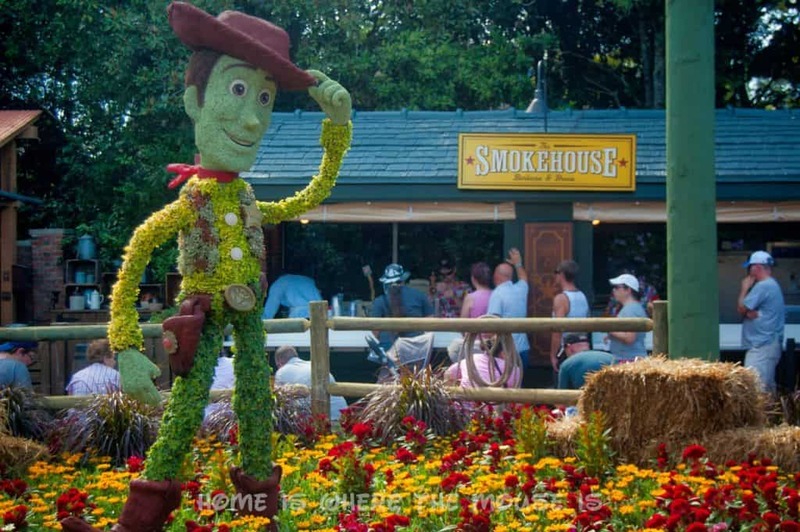 Would you get your Garden Passport stamped at the Smokehouse Barbecue & Brews? What would you try from that menu? Let us know in the comments section below! My hussband would love that cupcake!! I always wanted to go during the Flower & Garden Festival (I've been during the Food & Wine Festival and loved it!). The turkey ribs look tasty. Sad I am missing this this year.. The food looks so yummy!! !